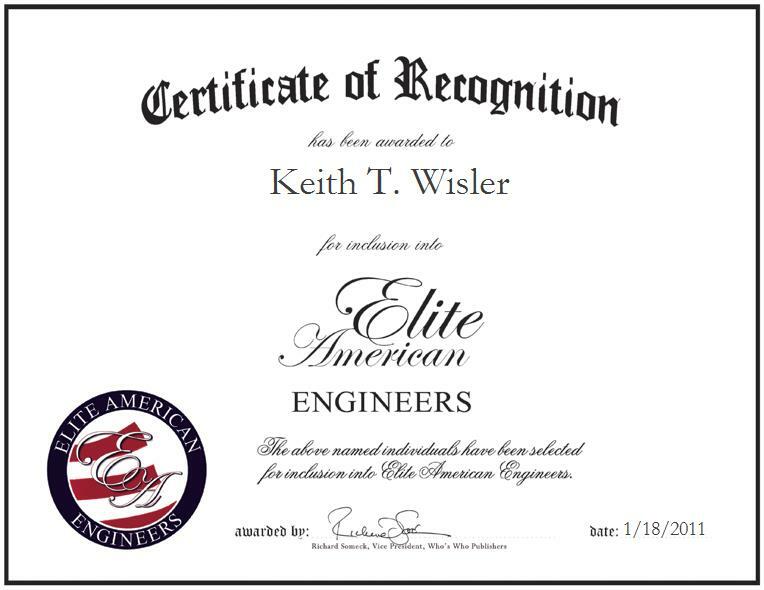 Collegeville, Pennsylvania, Keith Wisler, Design Engineer for ADS Transicoil, has been recognized by Elite American Engineers for dedication, achievements, and leadership in motion control and LCD products. By showcasing his commitment to the same company for 27 years, Mr. Wisler has demonstrated vast competencies in the engineering of aerospace, military, industrial and medical equipment. As a design engineer, he is pertinently responsible for a cornucopia of managerial duties such as maintaining project schedules, arranging qualification tests, preparing reports, and troubleshooting display issues. Further, he reviews and responds to inquiries for quotes and determines item cost in order to adequately assist with manufacturing. When all is said and done, Mr. Wisler enjoys peeking into the cockpits of commercial aircraft in order to see the products he designed in use. A graduate of Pennsylvania State University, Mr. Wisler holds a bachelor’s degree in chemistry, which he earned in 1981. Thereafter, he gained experience by working in a chemistry laboratory in the quality analysis department. Accrediting his success to his longevity, Mr. Wisler has a willingness about him to not be limited by a strict interpretation of his job description. By doing whatever it takes to ensure a project is successfully completed, he has gathered the reputation of a go-to person for challenging assignments. Mr. Wisler advises others in his field to make use out of industry-related organizations. For him, his professional affiliation with the Aerospace Lighting Institute and the Society for Information Display has provided him with insight and skills necessary to propel his career to the next level.